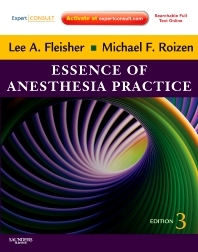 "This is an important addition to any anesthesiologist's library, providing quick and useful descriptions of the key concerns for a given patient's perioperative management. This update is necessary, as it includes sections on new drugs and evolving surgical techniques." - Davidd B. Glick, MD, MBA(University of Chicago Pritzker School of Medicine) - 4 Stars!